Mik has been playing and working in the mountains since his first introduction to a climbing harness in 1990. He has taught climbing and other outdoor skills with NOLS, Outward Bound, Longacre Expeditions, Naturalists at Large, and the Yosemite Institute. Mik has also been working as a Search & Rescue Mountaineering Ranger with Denali National Park and Preserve since 1998. 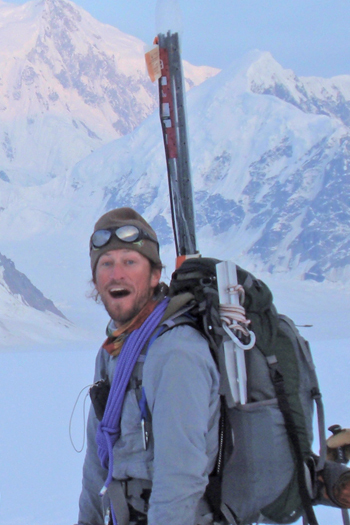 He has led ten expeditions to the summit of Denali, as well many peak ascents and remote traverses in the Alaska Range. He has been involved in dozens of technical high-altitude rescue efforts. When not guiding or “Ranging” in Alaska, Mik works as an on-snow filmmaker and video editor for Jackson Hole Mountain Resort.